As I mentioned in my initial review of the film Itzhak, which celebrates the accomplished musician Itzhak Perlman, I was introduced early in elementary school to the music of Mr. Perlman and he remains a musician I still have never seen live but will make every effort to see should he come back around into my neck of the woods. Kino Lorber has released the DVD of this wonderful documentary and a few extras. 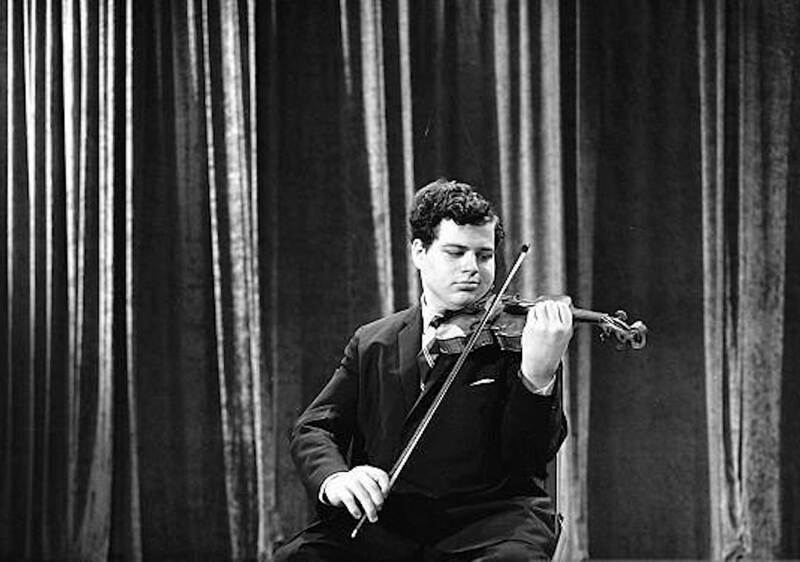 The film follows Itzhak Perlman and his wife Toby as they recount their lives together. Of course this will all center around the musical career of Mr. Perlman, but fortunately, we are given a much broader look at his life. Particularly moving is a trip he takes to Israel where we are given a tour of his former Tel Aviv neighborhood where he recounts the many sacrifices his parents made so that he could pursue his passion of playing the violin. From his appearance on the Ed Sullivan Show at age 13, to his enrollment in Julliard, despite speaking absolutely no English at the time, we get a grand sense of the challenges he faced early on, which makes it easier to root for his successes later. Even his time at Julliard was a complete philosophical shift for his playing. His teacher in Tel Aviv would give him specific direction about his playing telling him what to play, how to play and when to play. His teacher at Julliard would ask more broad questions like “how does this piece of music make you feel?” without the more specifics of how she wanted it played. At the time it drove him mad, but his wife Toby mentions in conversation how he has shifted his teaching of students now to more of the Julliard approach of asking how students engage with a piece of music. Toby adds that if a student isn’t engaging with the music on a more personal level, then the quality of their playing will be diminished. Of course it is fun to see Itzhak Perlman simply play. 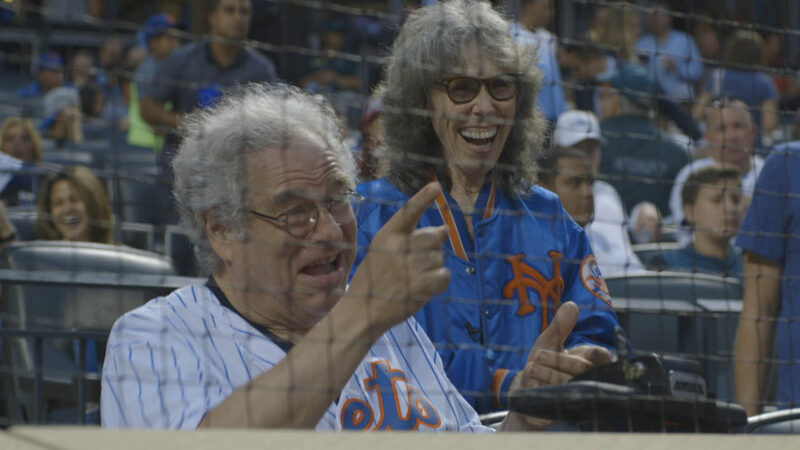 From the national anthem at a Mets game to joining Billy Joel on stage at the Garden, you’ll get plenty of opportunity to savor the brilliance of his playing. He is just a fascinating guy. Soup with his friend Alan Alda is an enjoyable experience for the viewer to simply be a fly on the wall as they simply talk. 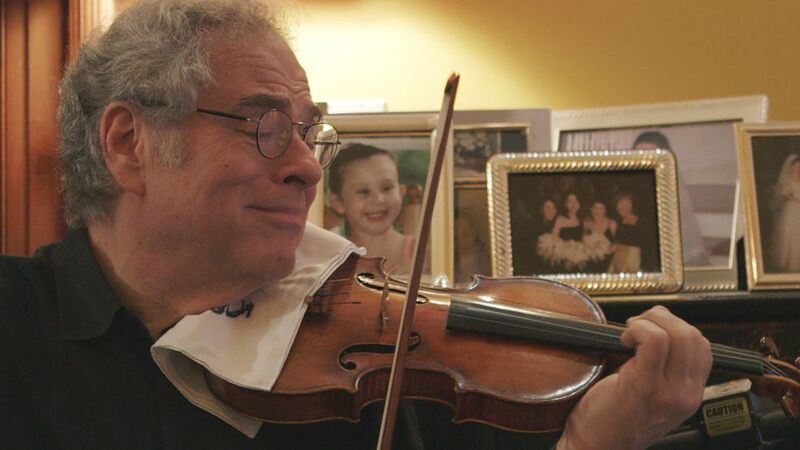 Ultimately, Itzhak is a feel-good documentary of a man who has been playing violin for over 5 decades, been married to the same woman for over 50 years, and who seeks to give back to his community and others. 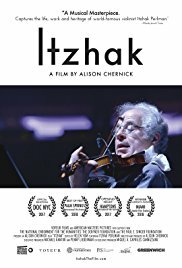 If you are looking for a fun documentary on one of the great musicians and individuals of our time, then look no further than Itzhak. The DVD extras include audio description, English Closed Captions, and several deleted scenes. The deleted scenes are just throw away bits but has some pretty good footage of his time rehearsing with Billy Joel that expounds on the footage of these moments used in the film. The DVD also has the trailer of the film.